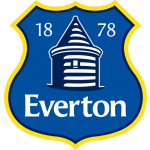 Last season marked the end of David Moyes’ eleven year tenure as Everton manager and as ever the Toffees were one of the league’s most difficult teams to beat, finishing in 6th place despite the constraints of a shoe-string budget. In a year that has brought an unprecedented amount of change to the Premier League, Everton have appointed former Wigan boss Roberto Martinez as manager to take over from Moyes, an unenviable task given the consistency of Everton’s assault on the top six in recent years. Having lost only one of their opening eleven games at the start of last season, Moyes was very open about targeting the Champions League positions. However, a run of only one win in nine in the build up to the Christmas program left the Toffees playing catch up for the rest of the season and provided a gap that the Merseyside club ultimately couldn’t make up. Coupled with disappointing performances in both domestic cup competitions, Everton will feel that last season was a missed opportunity, given that only a late surge from Arsenal thrust them into the final Champions League position. With a new manager appointed and some intriguing signings made, Everton will be looking for another sustained challenge on the European places. The question that remains though is, how much of their recent success and perhaps overachievement was down to David Moyes’ management? And with the Scot now in the hotseat at Manchester United, will Roberto Martinez be able to just simply take up where his predecessor left off? Martinez began his managerial career in February of 2007 when he became player/manager of League One side Swansea City where he just missed out on a play-off spot in his debut half-season as manager. In his first full season though, Martinez guided the Welsh club comfortably to the League One title and promotion to the Championship. In what was Swansea’s first season in England’s second-tier for 24 years, the Swans lost their first game of the season only to go on a run of only four losses from the next thirty games. This run included many draws, however, and Swansea just about managed to miss out on the play-off spots; still a remarkable feat given how far the club had gone in only two years. By now, Martinez was being linked with many top flight jobs, including Blackburn Rovers, Wigan Athletic and Scottish Champions Celtic, all of whom enquired about the Spaniard’s availability. In June 2009, Martinez was confirmed as Wigan manager. With a budget less than that of any side in the league, the odds were stacked against the Latics to maintain their Premier League status, a feat they subsequently managed for three years in a row only to succumb to relegation last season despite winning a historic FA Cup in the process. 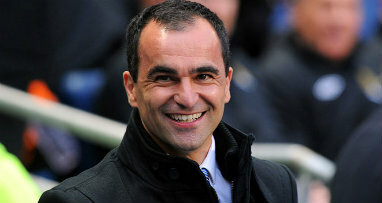 Throughout these three years, Martinez was slowly climbing the managerial ladder and turned down the advances of Aston Villa before the 2011/12 season. In June 2013, after Wigan’s relegation, the 40 year old signed a four year contract to take over at Everton. The new Toffees boss is known for his open, expansive football and his ability to get the best out of a limited group of players whilst working from a shoe-string budget. In this regard, many see Martinez as the ideal candidate to take over from David Moyes as his football philosophy centres around astute signings as well as further developing younger players, of which Everton have a healthy supply in the likes of Ross Barkley and Shane Duffy as well as new loan signing Gerard Deulofeu. However, this is a huge step up for Martinez and while Everton fans can expect some exciting, attacking football this season, a career that has so far been about learning on his feet, will provide one of English football’s brightest young managers with his sternest test yet in doing just that. With constant speculation surrounding the futures of big names Marouane Fellaini and Leighton Baines, Roberto Martinez may have to plan for the season without the influential duo. If this is the case, now would be the perfect time for winger Kevin Mirallas to take the leap from exciting prospect to influential playmaker. There is no doubting the Belgian winger has all the tools in his locker to become one of the Premier League’s most fearsome attackers and at 25 years of age, Mirallas can no longer be excused as a player with “potential”. Very few players in the Premier League have the turn of pace and direct style of play that the Belgian has and as shown in the latter end of last season, particularly his performance at White Hart Lane where he scored one of the goals of the season to earn his side a 2-2 draw and at home to Stoke where from the halfway line, his solo run and finish were indicative of this man’s true potential. Since being signed from Olympiakos in August 2012, after a title winning season in Greece where he finished the league’s top goalscorer with 20 goals, Mirallas has been plagued with injuries which have lessened his impact significantly and in the process, hindered his club’s chances of European qualification. New boss Martinez will know that keeping Mirallas fit is a priority if the club are to sustain a challenge this season but all the work is down to the Belgian himself and last season’s return of 6 goals from 27 games is a poor reflection of his own ability to make the difference in the final third. 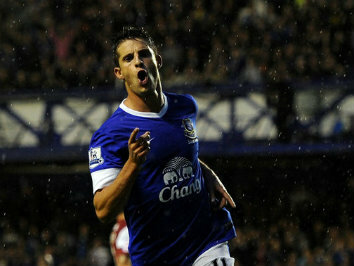 The stage is set for Mirallas, and now is the time for his much talked about potential to finally bear fruit. The loss of such an influential figure in David Moyes could do untold damage to Everton’s consistent top-half Premier League finishes. However, the addition of a bright, young manager in Martinez could be a breath of fresh air for the club that maybe they needed after eleven years of Moyes’ stewardship. Could Martinez propel the Toffees to the next level that his predecessor couldn’t quite manage over the last two or three years? Or will the loss of Moyes mean the end of Everton punching above their weight in and around the top six? The reality is that it’s all up in the air for the Merseyside club and how best to judge their prospects is to look at their squad for the new season. Keeping Fellaini and Baines will be crucial to Everton’s challenge, yet the prospect of having to do without both is becoming more and more like a reality as Manchester United and old boss David Moyes are said to be preparing a joint bid. 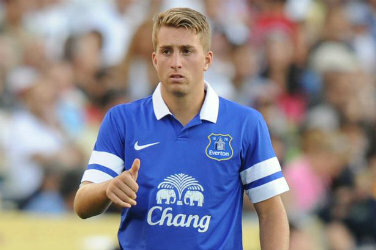 Martinez has brought in the very exciting forward Gerard Deulofeu (pictured above) on a season-long loan from Barcelona as well as former Wigan players Arouna Kone and Antolin Alcaraz, both of whom will have to improve their inconsistencies greatly to make a difference at this level and young goalkeeper Joel Robles, who impressed at Wigan last season on loan from Athletico Madrid. 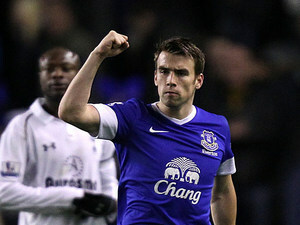 The squad inherited by the new manager is one of promise as players like Seamus Coleman (pictured below), Leon Osman and Steven Pienaar will fit very well into Martinez’s philosophy for quick passing and sharp movement in the final third, with the aforementioned Mirallas along with Ross Barkley and Darren Gibson out to prove this season that there is substance to their obviously great potential. Like last year’s top three sides, Everton are facing into the unknown this season with a new manager and a new system which will be fascinating to observe. However, in Anichebe and Jelavic, there is a lack of a proven goalscorer up front, a problem which the signing of Arouna Kone does nothing to improve, and this may mean Everton just miss out on those coveted European positions they will undoubtedly be targeting.